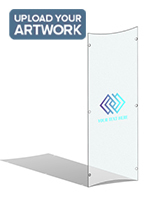 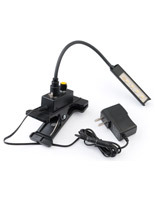 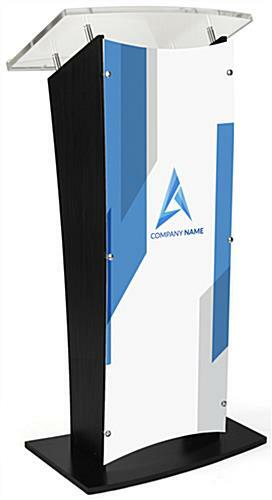 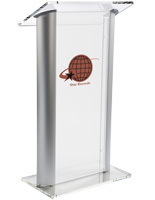 Place this customized lectern at trade shows, speaking events, schools, or other corporate presentations. 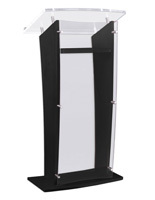 This podium can be printed with custom graphics meaning, yourself or your company can have a brand presence while at any occasion. 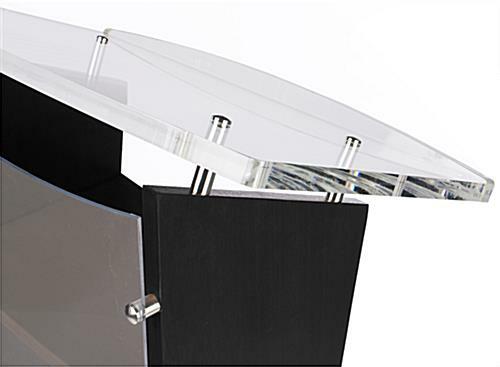 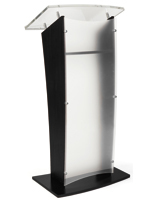 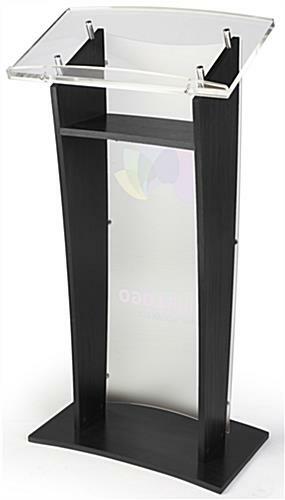 This customized lectern has a frosted front panel, a large reading surface, and an upscale looking black wood finish. 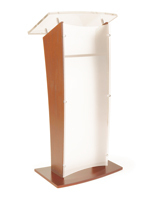 The podium also has an interior shelf that’s 14.8” wide to house reading material, laptops, or notes. 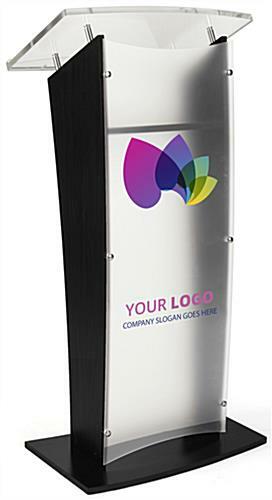 The UV printing process for each lectern produces high quality imagery, and can be as simple as a brand logo or more complex and cover the whole front panel. 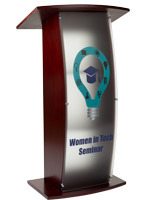 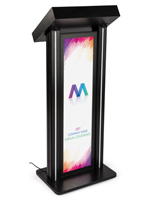 Captivate your audience and take the stage with a stirring speech using this custom printed lectern. 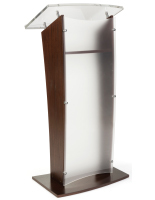 18.0" x 48.8" x 15.8"
23.8" x 1.0" x 14.0"